If I could give 0 stars I would. The owner lost the belt of my expensive coat. He did not apologise or say he would attempt to find it. He accused me of losing the belt on the road despite the coat being in a bag when I brought it in. The belt does not detach easily and must have been carefully removed. When I explained all this, he then accused me of having the belt at home. He would not look me in the eye. He would not apologise. He would not offer a refund. He accused me of lying. After waiting in store for over an hour, he told me he was not liable and pointed to the sign on the receipts. 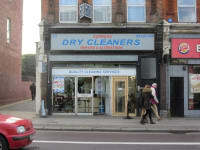 I showed him the citizen's advice bureau page on dry cleaners and their responsibilities to their customers. I confronted him and said that his behaviour seemed very defensive and dishonest. He refused to settle the matter and left. I have never experienced such terrible and dishonest customer service in my entire life. 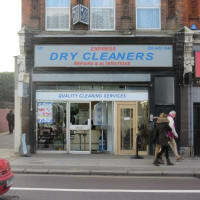 Avoid this dry cleaner at all costs. Not worth the risk.